Have a holistic view of the employee hours needed to efficiently run your business by utilizing the time clock. Whether you are looking to evaluate hourly employee activity, commissioned staff productivity or man-hours needed in the Service Department, Time Clock will organize employee time for review. Tied directly to Payroll and HR, it is a web-based app that can be logged into by any device that is directly located in the dealer network. 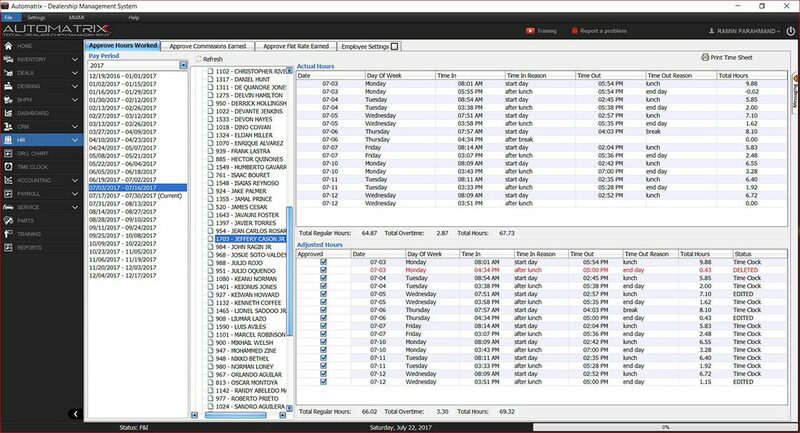 This IP based application will allow the dealership’s employees to clock in, clock out, leave for lunch, breaks and more. Employees with Manager level permissions can view and make changes to time for active employees.